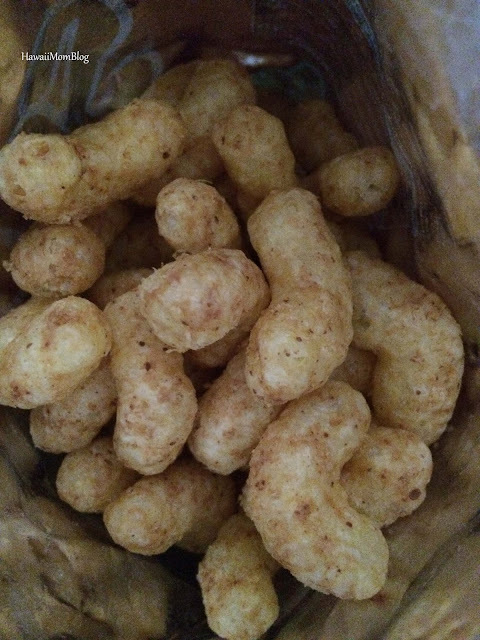 Hawaii Mom Blog: Treats Review - A Subscription Service for International Snacks - Get 15% Off Your First Box! 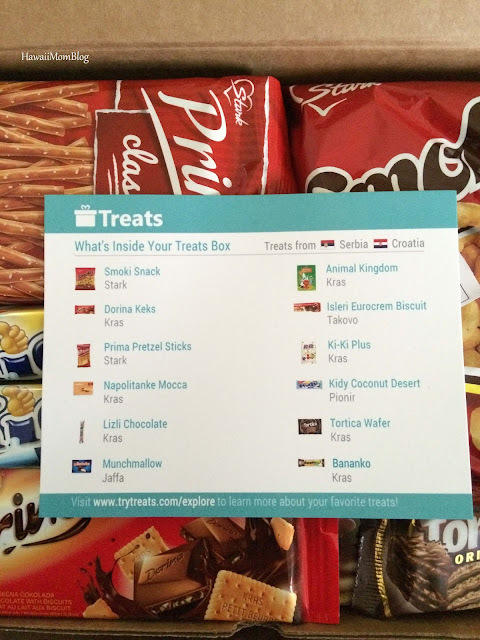 Treats Review - A Subscription Service for International Snacks - Get 15% Off Your First Box! A complimentary box of Treats was received for review purposes. Those who know me well know how much I love snacks, and that whenever I travel I seek out locally-made snacks to take home as gifts, and also to indulge in myself. Therefore it's no surprise that when I was offered to try out a box of Treats, I didn't hesitate to say yes! 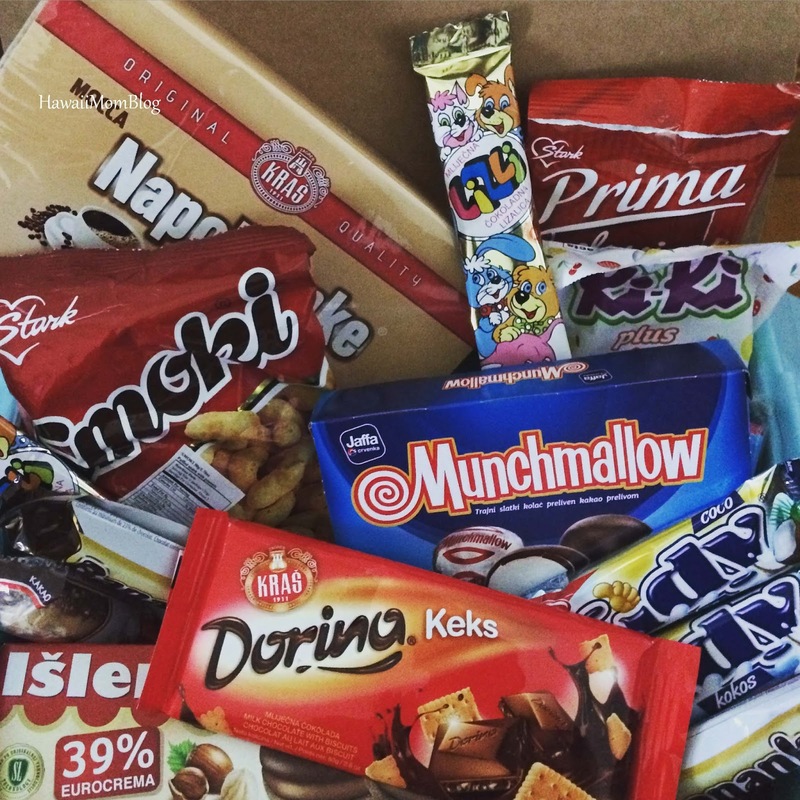 Treats is a subscription service for international snacks - every month you'll get a box of snacks from a different country (or countries), and the country is a surprise until you open the box! I was so excited to receive my delivery of Treats. 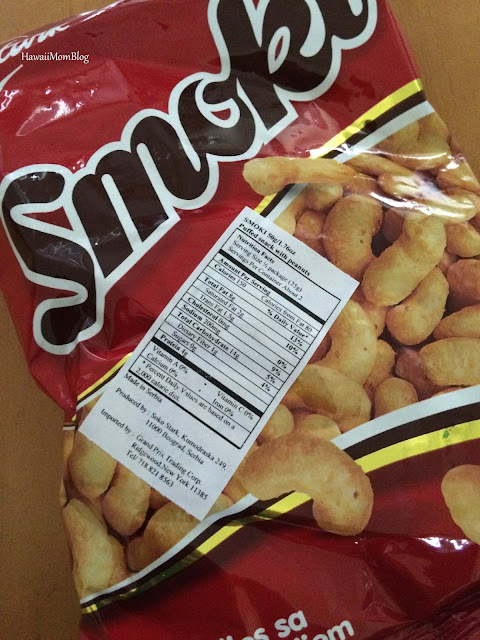 I would have been happy with snacks from any country, but since in Hawaii we have easy access to snacks from Asian countries at our local stores, I was crossing my fingers that I would get snacks from a different continent. 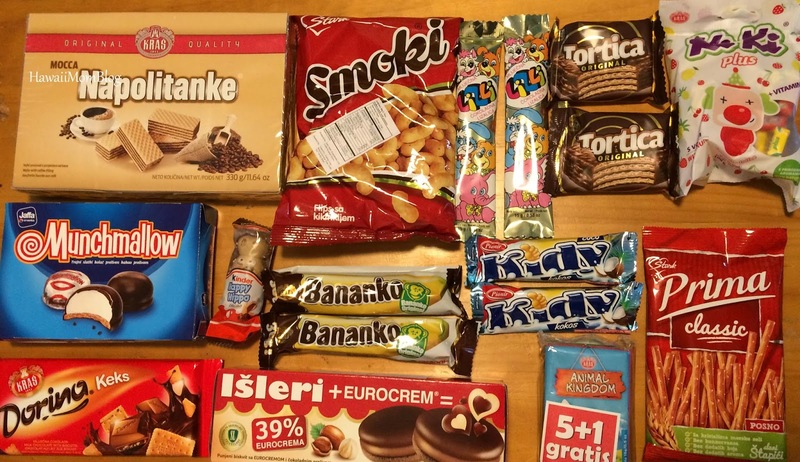 When I opened the box I was excited to see that I received a bunch of treats from two European countries - Serbia and Croatia! The box contained all sorts of treats, and to my delight, many of them involved chocolate! 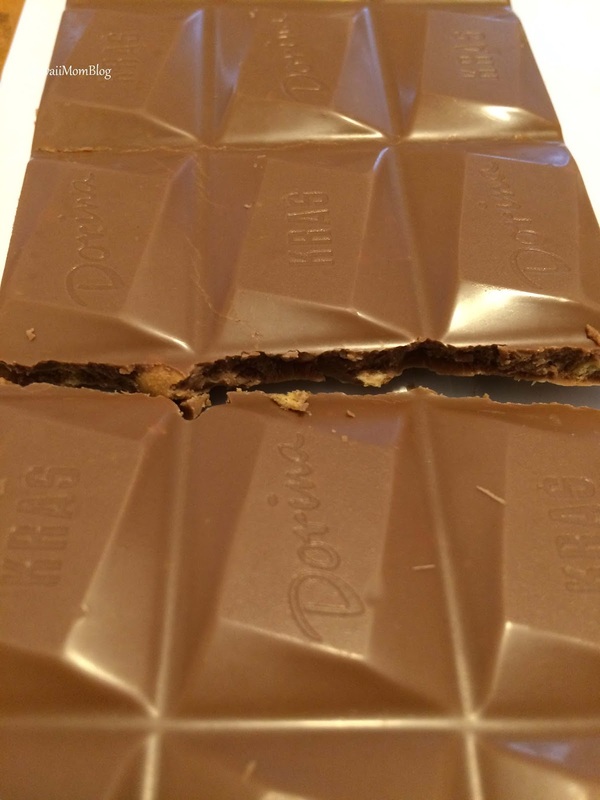 So of course the first treat I opened was a chocolaty one - the Dorina Keks by Kras. These chocolate-covered biscuits were absolutely yummy! My favorite treat was the Munchmallow. A cookie layer was topped with marshmallow and covered with chocolate. These individually-wrapped treats were so good that it was hard to eat just one! The melt-in-your-mouth marshmallow, combined with the crunchy cookie and smooth chocolate was irresistible! I immediately ate another after I ate the first! I tried all of the snacks with the exception of the snacks my kids ate. They loved the Bananko (a banana-flavored chocolaty treat), the Animal Kingdom chocolates (they loved the cute animals on the wrappers), and the Kidy Coconut Dessert (they loved the coconut flavor!). There were a few savory snacks - the Smoki (peanut-flavored corn puffs) were a nice mix of sweet and salty, and the Prima Pretzel Sticks were good too (and apparently very popular in its home country). The only snack I didn't care for was the Napolitanke Mocca - coffee-flavored wafers - simply because I don't care for coffee. I love wafers though, and I would definitely try them in a different flavor. 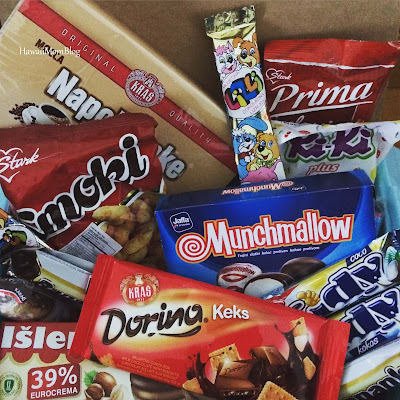 There are two different treat boxes you can choose from - a $12.95 box that includes 4-5 international snacks, and a $24.95 box that includes 8-10 international snacks. You get treats from different countries each month, and US addresses get free shipping! And just for Hawaii Mom Blog readers, you can save 15 % off the price of your first box with code HAWAIIMOM! Treats is a fantastic way to try snacks from all over the world at a reasonable price! 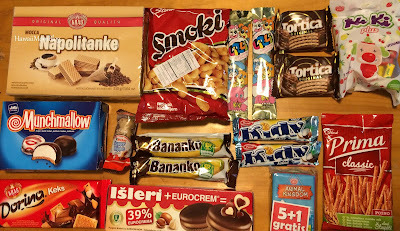 If you love snacks and love trying treats unique to different countries, you definitely need to subscribe to Treats.